Forklift Certification OSHA Online Training. Get License In 1 Hour! Would You Like To Get Your Employees ‘Forklift Certified’ With Our 100% OSHA Compliant Online Training And Print Their Certificates In About 1 Hour? If the answer is “YES” then take the first simple step right now and register your company for free in the form on the right side of this page. Cut your training time in half without sacrificing quality by conducting online and hands-on training! IMPORTANT - Do NOT be fooled by cheap imitation websites that charge you over and over ever year for certification renewals. CertifyMe.net is the ORIGINAL Online Forklift Certification provider and with our certifications you NEVER have to pay for a renewal! IMPORTANT WARNING #1: Next year, over 100,000 injuries involving forklifts will be reported and 100 workers will lose their lives.Don’t let one of your employees be one of them.IMPORTANT WARNING #2: OSHA can impose a $7,000 fine for each untrained operator (up to $70,000 fine for willful violations).It is mandatory that all forklift operators be trained. Automatically print a copy of your operator certification cards and wallet cards the instant your employee completes our online program. An original laminated card with be mailed within 5 – 7 days. The online training can be completed on an extended lunch break, in your employee’s home, or anywhere they have access to the Internet. Training can even be completed from an iPAD, iPhone, laptop, or any other device that has internet connection! 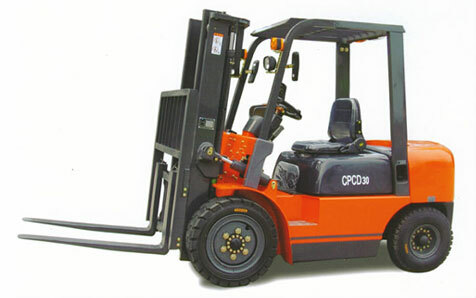 Forklift certification conducted offsite can cost hundreds of even thousands of dollars. Forklift certification with CertifyMe.net costs only $59.95 per individual. We provide everything you need in one simple package, straight from the Internet. The beauty of this OSHA forklift certification card training is that you can complete the training from anywhere at anytime. You do not have to purchase any manuals or books to study and you do not have to schedule a certain time or rent out a building to go through the forklift certification card training. It is the most cost-effective training that you will find anywhere. There are no books or videos to buy, costly training facilities to rent or special times to schedule. If it’s a 15 minute break, over lunch or after work… simply log in and start! It’s NEVER BEEN FASTER OR EASIER to ensure that you get the proper forklift training and documentation necessary to meet OSHA standards. Over 28,032 other companies (and counting) have used Certifyme.net to train their employees and stay OSHA compliant without the hassle and expenses of in-person classroom training. All employers and employees can instantly print their certificates and wallet cards from anywhere that has an Internet connection! CertifyMe processes the successfully completed online forklift training program. An E-mail message is sent to the employer to verify that the operator has completed the training module. A printed certificate of course completion and wallet sized operator cards will be promptly mailed to the employer. The employer or supervisor can print out the Operator Daily Checklist and the Operator On-Site Evaluation Form. Since December 1, 1999, OSHA standards require forklift training and certification for any employee who operates a powered industrial truck. 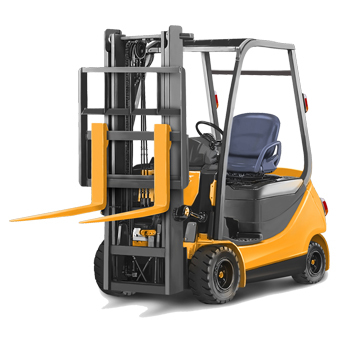 OSHA itself does not conduct training or certify forklift operators. This is the responsibility of the employer. 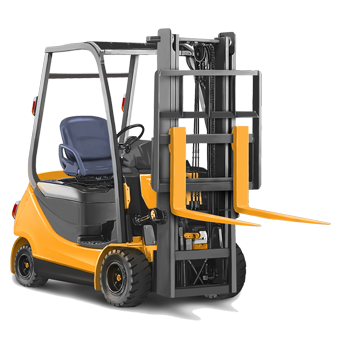 Operators who have had a near miss, an accident or seen doing unsafe acts are required to undergo refresher forklift training. Employers also have obligations regarding temporary employees.